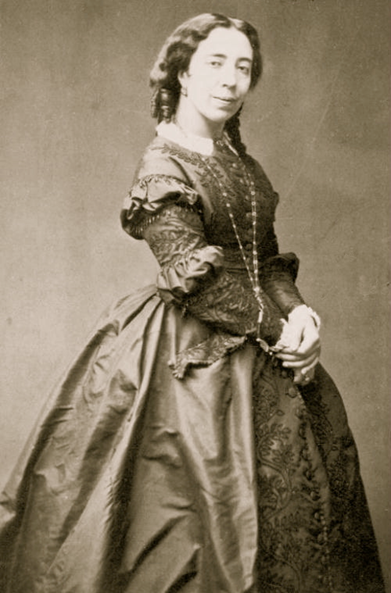 Pauline Viardot-García (Pauline Rodríguez Sitches; 1821-1910). Contralto, pianist and composer. Being one of the most fascinating characters in the European XIX century, Pauline Viardot-García’s figure may, nevertheless, seem slightly obscured by her elder sister, Maria Malibran‘s overwhelming personality. Pauline was the youngest daughter born to the tenor Manuel del Pópulo García (1775-1832) and Joaquina Briones (1780-1864). She was an accomplished singer and was able to develop a career as a professional contralto, taking part in opera productions at the main European opera theaters. 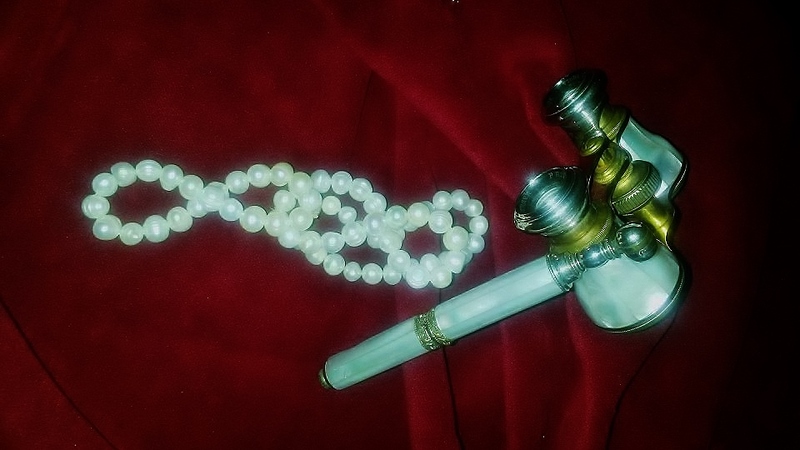 She may have lacked the exceptional vocal qualities her sister possessed, but, according to contemporary testimonies, she was able to compensate them with a more balanced temperament. Both the fact of having had many chances to observe other singer’s careers in her youth and her own personal intelligence allowed her to choose those operatic roles which best suited her qualities and character. She was also well known for her talent as an actress. 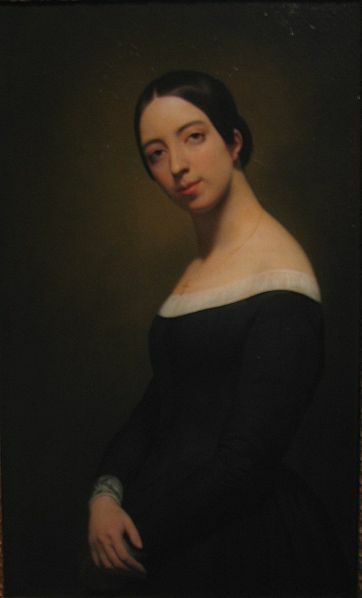 Retrato de Pauline Viardot García. Following her father and first singing maestro’s imperative, her education was not only based on mastering longs series of vocal exercises: She also studied piano with Franz Liszt from her early years. Later on, she would complete this education receiving further lessons from the musical theorist Anton Reicha, as well as studying the contralto vocal technique with her elder brother, Manuel Patricio García. Many of the experiences reflected in the Complete treatise on the art of singing –published by the latter in 1840-47- where first developed as he taught her younger sister, as well as many other pupils who would, ultimately, become professional opera singers as well. Although she had sung previously in public, her London début took place in 1839, performing the part of Desdemona in a production of Rossini’s Othello at Her Majesty’s Theatre. From that moment on, she had engagements at other first-class opera houses, especially at the Théâtre Italien, in Paris, where she performed further Rossini characters, such as Cenerentola and Rosina (Il barbiere di Siviglia). There she met her husband, Louis Viardot, at the time manager of the Paris Opera House, who would later resign his position in order to accompany her in her engagements throughout Italy, Spain, Russia, Germany, France and England. Her friendship with the writers George Sand, Alfred de Musset and Ivan Turgeniev, as well as with Frédéric Chopin, have become legendary. Also Richard Wagner wrote on his admiration for her great musicianship as, at a time when most German singers had difficulties performing his music, Pauline Viardot was able to sightread the whole part of Isolda, and to interpret it with great musicianship in front of the author of the opera. As a composer, she is the author of several musical dramas and more than one hundred songs. Many of these show her expertise as a musician, as well as her exposure to the Romantic aesthetics and her originality in the depiction of emotions in a vocal code entirely coherent with contemporary trends. She hosted musical soirées where composers, performers, writers and all kinds of artists congregated and exchanged influences in the humanistic academic fashion. Many of them, such as Robert Schumann, Johannes Brahms Charles Gounod, Camille Saint-Saëns and Gabriel Fauré, dedicated some of their vocal works to her as a proof of gratitude. 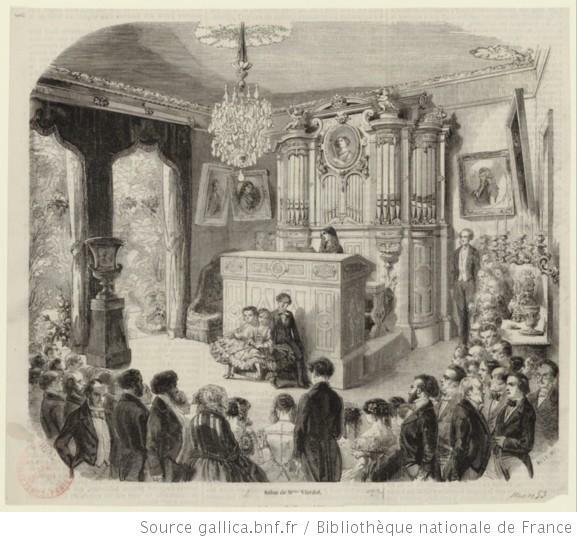 Soirée musical en el salón de Pauline Viardot. Bibliothèque Nationale de France. You are welcome to quote this text following MLA guidelines for scholarly articles and websites.